At 15 months my son is a little too young yet to enjoy most theme park rides, but it already appears that I’ve got a little adrenaline junkie on my hands. He likes to be tossed in the air, swung around, and his favourite feeling in the world seems to be falling backwards. So when I was looking up theme parks to visit, I wanted to find one that might have a couple of rides that he can enjoy. My husband loves coasters, so we needed something that had things to suit both the gentle and the extreme. Drayton Manor Theme Park ticked every box, including mine, as it also has a small zoo! Days out at theme parks can tend to be a little bit on the higher price for families, although they definitely offer value for money for a wide age range. I was pleasantly surprised to see the savings that could be made with 365 tickets, who provided me with complimentary entry to review the day. You can get up to 36% off Drayton Manor tickets, with savings of 50% or even more for other big name attractions like Thorpe Park, Alton Towers and Legoland. I’d always give them a check now in future before buying. Drayton Manor is located just north of Birmingham, so was a 2 hour 30 minutes drive for us from South Wales. It’s well signposted and easy to find, with multiple large (free) car parks spanning three different entrance points. Hotel guests can park in the hotel car park which is right next to Entrance 1, whilst theme park visitors will be directed to the car park near the main entrance gate. If you’ve bought tickets in advance you can head straight to an entrance gate as they’ll scan the barcode meaning no queuing. There are three main areas of Drayton Manor Theme Park, the Zoo, Thomas Land and then the main section. The zoo is a small, quiet section near Entrance 1. 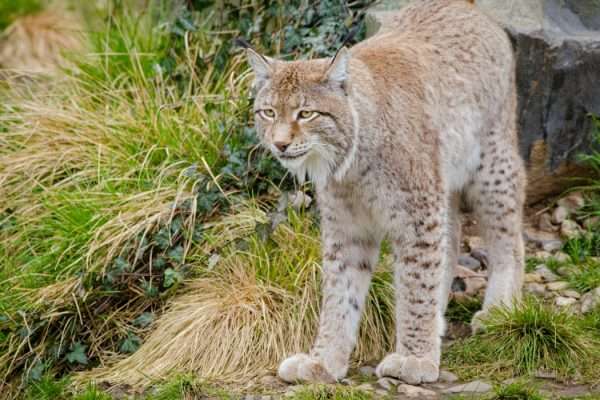 It’s not huge, but is a pleasant way to spend an hour or two and I enjoyed seeing some animals that I don’t often see, such as the lynx and the fishing cat who I could have watched for hours. You may be aware from previous posts that I’ve worked professional with exotic animals (primarily reptiles) for over a decade, so animal welfare is very important to me. 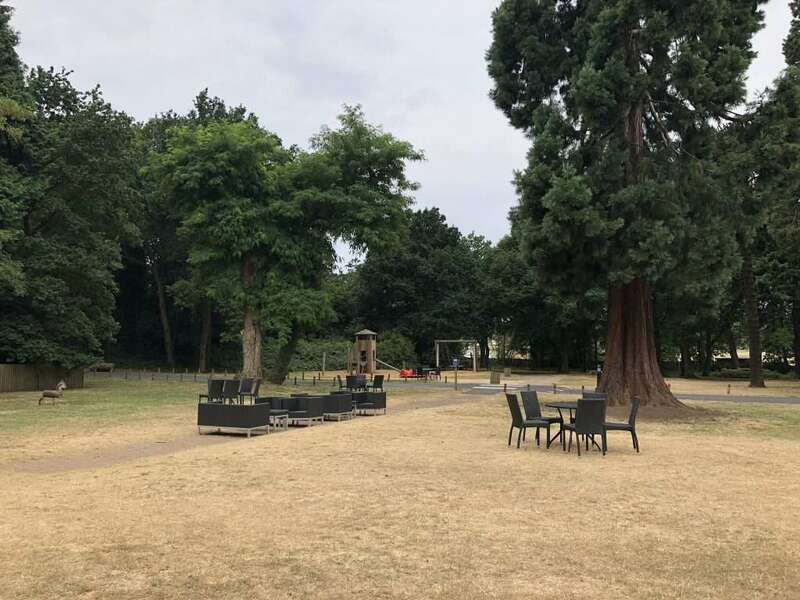 Whilst I personally would have made a few changes to the reptile enclosures, on the whole I was very pleased with this compact zoo and felt it was reasonably sheltered from the noise and bustle of the main park. Even though the park is catered towards teenagers and adults, I think Thomas Land really offers something to little ones above and beyond the majority of theme parks. 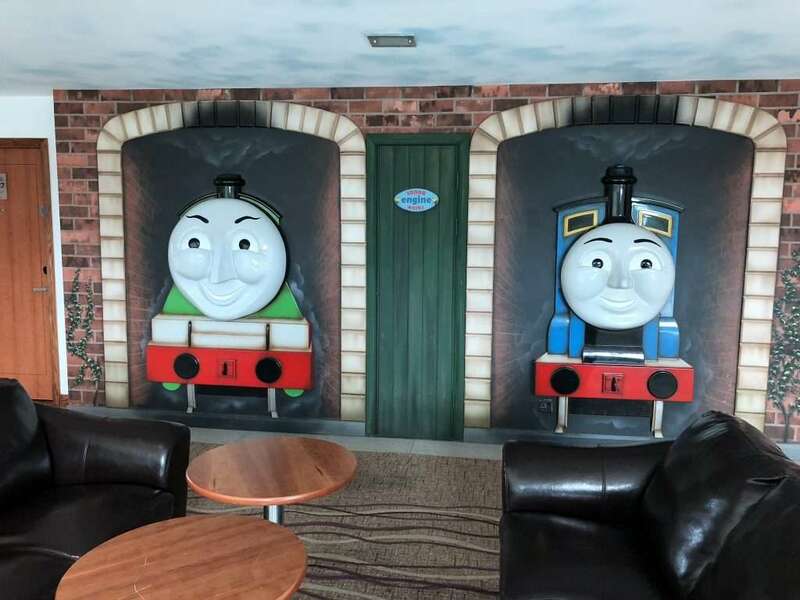 You don’t need to be a fan of Thomas the Tank Engine, but if your son or daughter is, then you’re on to an absolute winner here as everything is themed and there are lots of characters to spot from the show. There were quite a few rides that toddlers could go on if accompanied by an adult, so William got to do quite a few rides at his first theme park even though he is only 80cm. His favourite still ended up being the soft play, which had a toddler section and there were plenty of families with babies and toddlers in here getting a break from the heat. There is a handy chart which lists all of the ride sizes so you can have a quick look and see which ones you’re eligible for, and don’t disregard the main theme park, as there are family rides in it as well. The carousel in the main theme park for example allowed me son on (accompanied), whilst several family rides would have been suitable for the 1m and 1.2m height limits. The only downside is that the majority of the rides did have 1 adult limit per row or car which meant we couldn’t both go in the same section with him, but I imagine that is for safety and space reasons, and if you’ve got two kids you can always take one child in each row without having to share like me! 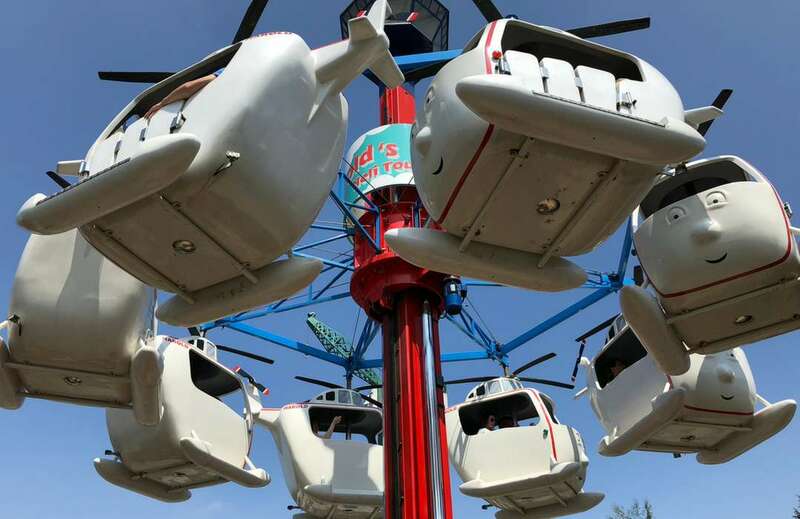 There are a couple of big rides such as Shockwave and G-Force, as well as a massive log flume and then a bunch of smaller rides and roller coasters. The queues will obviously depend on when you’re going. My husband queued for about an hour for Shockwave and the park was fairly packed. I think there is still time enough to go on the majority of rides, but you’d be hard pressed on a busy day to fit in every ride as well as the zoo and Thomas Land. 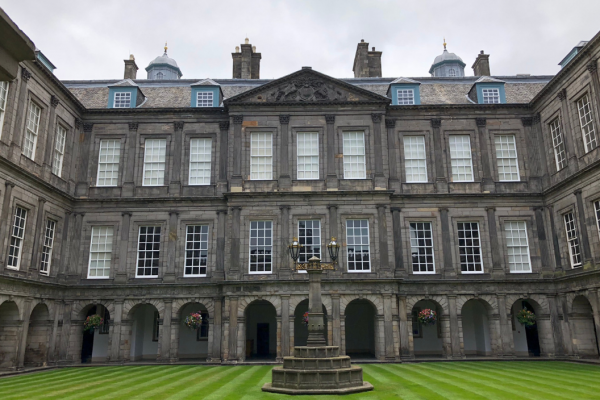 Whilst my husband was queuing for the big ones I took my son around some smaller attractions, so that worked out well, but if you have the time to spare it’s definitely worth thinking about picking up a day two ticket, which can be bought for reduced prices. 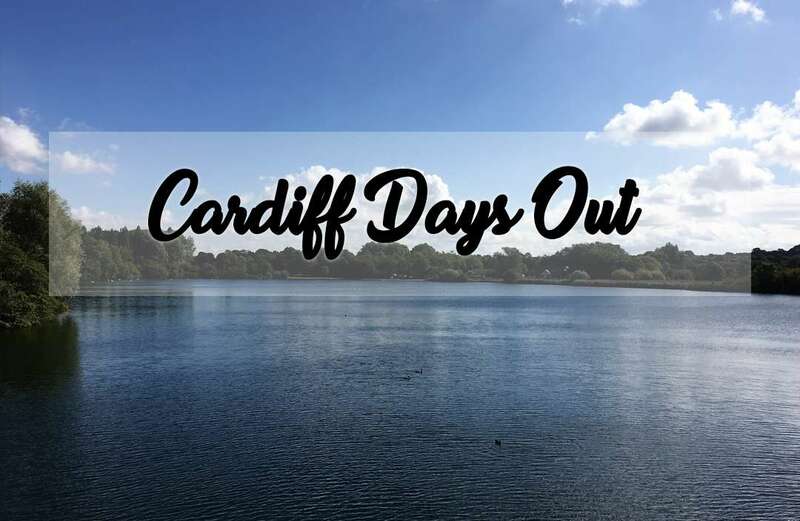 Dotted around are lots of places to shop and eat as well as amusements and games to play and a 4D cinema which was showing an Ice Age short when we visited, so very family friendly. As usual, food and drinks prices are expensive, so at the least bring lots of juice and water with you so as not to be held to ransom. We opted to bring our own picnic lunch and ate it in the shade. My recommendation if you have little ones is to head to the zoo first and then eat lunch at the picnic tables next to the train station. There’s a lovely little cafe here, as well as facilities and an outdoor play park. You can then catch the train for the 5 minute journey to Thomas Land for some rides, whilst perhaps the grownups go on a few big rides too. I can’t wait until William is a little bit older and all three of us can go on rides together! We decided to treat ourselves to a night at the hotel which is adjacent to the park. It’s completely family friendly, simple and comfortable rooms (there are also character themed but our son is too young to really appreciate that) at good prices. 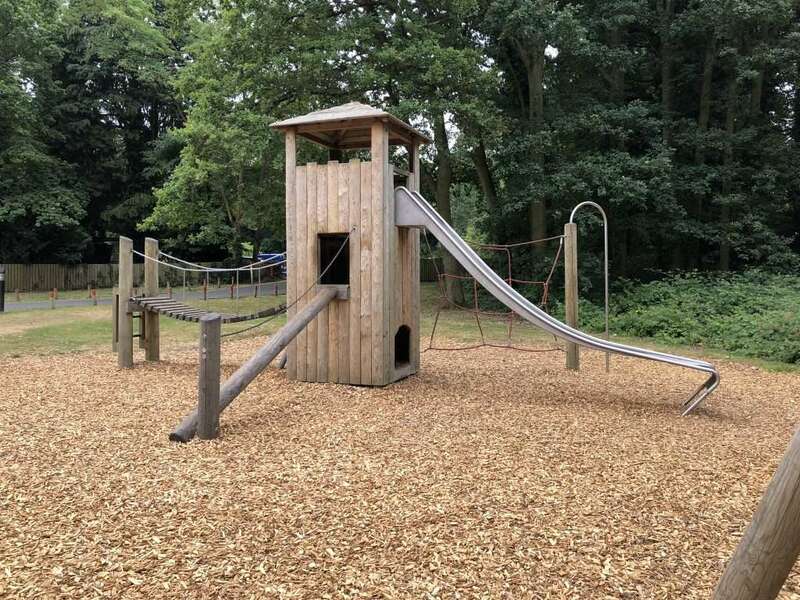 To the rear there is a large grassy area, small climbing frames and play areas as well as lots of seating. Children’s entertainment was outside in the evening, with an enthusiastic young lady playing games, as well as a Rory mascot wandering around. Despite there being two restaurants at the hotel, we opted to eat at the Harvester which is about a 10 minute drive away. The salad cart is Williams favourite meal right now and it’s a very low-budget family friendly meal. Our sleep in a king size bed was comfy, whilst a travel cot was provided for William. Breakfast was cooked and continental on a buffet service and perfectly yummy, fuelling us for the long drive home, with a stop at the Wye Valley Butterfly Zoo on the journey. 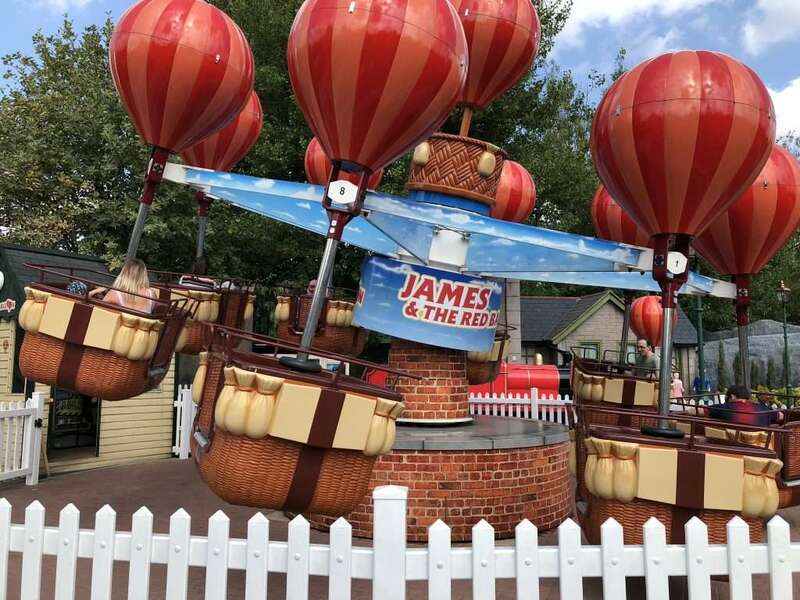 I would definitely recommend Drayton Manor to families as it offers some excellent choices for the little ones – even the very little ones, and the hotel is extremely convenient for overnight guests. A big thumbs up from the whole family here. 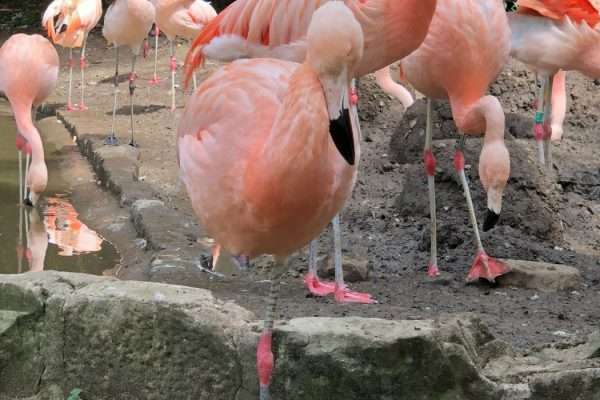 If you’re looking for more zoo reviews, I’ve got plenty! We love Drayton Manor! It’s such a fun day out. Although we haven’t used the hotel before, it sounds a lovely place to stay over and really convenient too. Sounds like a fab day out, we are thinking of going and now I think we will so thanks.